RX470-4 superheterodyne wireless receiver module is receiving UHF ASK demodulators support ASK and OOK modulation. The receiver module has high sensitivity (-108dBm), Low-power performance, along with high dynamic range (greater than 60dB). Module uses highly integrated chip, built front-end low-noise amplifier,Mixers, filters, frequency synthesizer circuit, etc., can maximize the signal optimization. 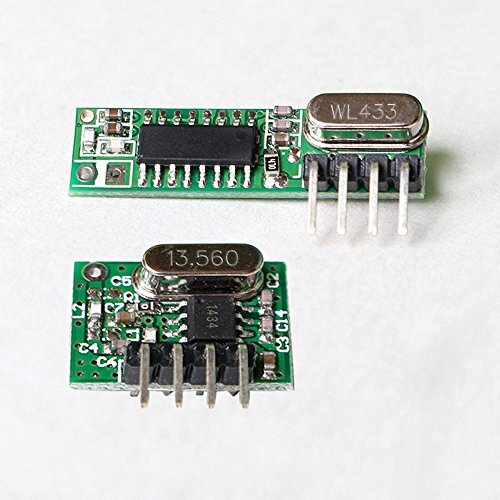 WL102-341 transmitter module is UHF ASK modulated transmitters, support ASK and OOK modulation. Operating frequency 433MHz, transmit power is greater than 11dBm.